eco-conscious and provide cost-effective processing. output commercial grade machine, producing over 453 pre-rolled joints in a 2-3 minute cycle. Go from box to full operations in 10 minutes! Solvent-free, high yield processing with zero waste. 100% natural, retaining ALL original aromas and flavors. 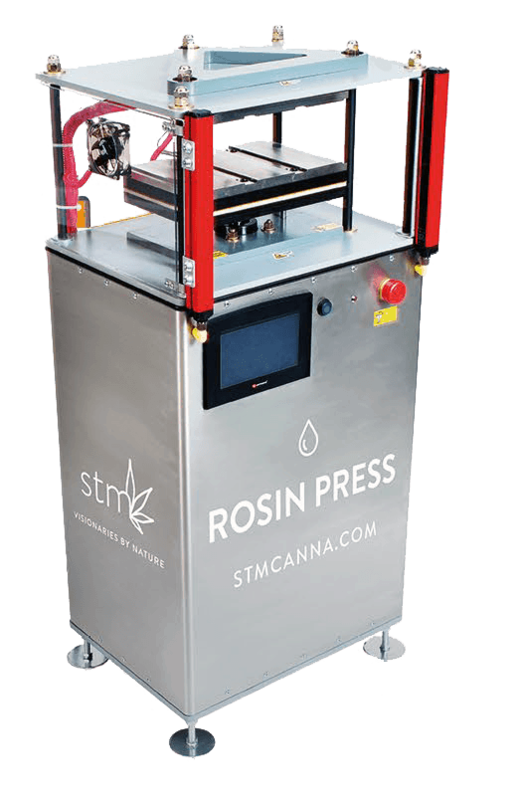 The Rosin Press is 100% self-contained, touch controlled, ECO-friendly, productive, featuring solvent-free and high yield processing (up to 60 cycles/hr) that is low cost and zero waste. From custom settings in the touch screen control panel to the STM load/unload station, the RocketBox helps you make the process of filling cones simple, consistent, and highly productive. Schedule an Online Product Overview! Designed by Flavia Lemos | Copyright © 2019 STM Canna. All Rights Reserved.